Some time ago I produced an add-in to Outlook that enabled the calling of contacts directly from Outlook using Gradwell Call API. The app worked pretty well but I have recently redeveloped it into a standalone application and I think it works much better in this format. 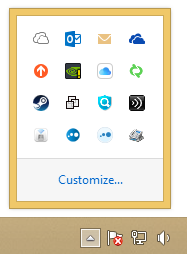 It still integrates with the Outlook contact database but the functionality is much easier to use in this format. 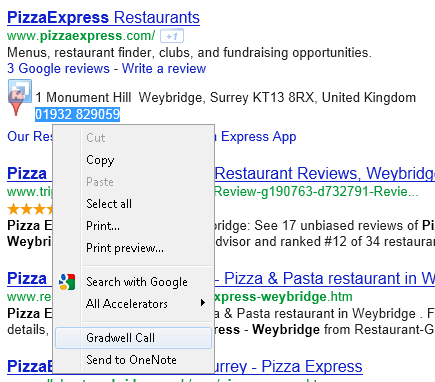 Essentially the application allows you to initiate a call to your gradwell extension directly from your desktop without having to input the digits manually on your handset. Personally I find dialing the number manually quite a chore. Maintains a list of previously dialed numbers so you can quickly redial a previously dialed number. Monitors your clipboard for a number so if you copy a number from another app it will be instantly available for you to call. Queries the Outlook address book so that you can call any Outlook contact with a telephone number stored and automatically filters out e-mail only contacts. 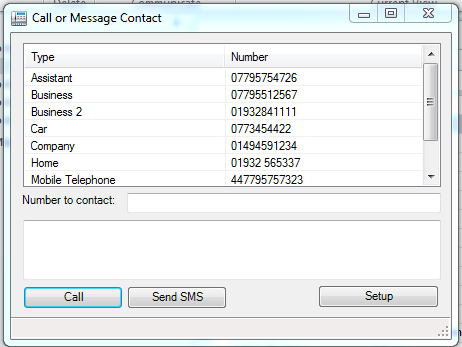 When calling an Outlook contact will display the name and number of the contact being called on your handset. Allows you to reverse the call order so that the call is only connected to you once the destination number has answered the call. 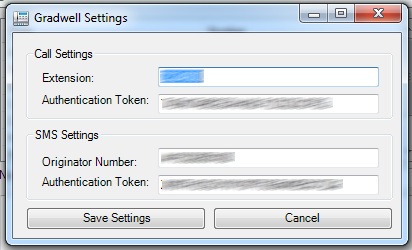 Once you have downloaded and run the installer you will be prompted to enter your Gradwell authentication settings which you must do in order to use the application. Once you place the call the status bar will show the status of the call and hopefully you will be quickly connected to the destination. Choose “Call Outlook Contact” and as long as you have Outlook running and some contacts you will come to a dialog with a drop down, auto-complete enabled list from which you can quickly dial any Outlook contact. Simply click on the hyper linked numbers available for your selected contact and the call will be placed. In addition, if your handset supports it, the contacts name will be displayed on the handset. Let me know what you think of it, I’ve been find it very useful and saved me quite a bit of time/hassle. Please note: I do not work for Gradwell and this application is entirely unsupported by them and I wrote it for my own use and I am just sharing.